Spectacular, dramatic, hilarious, opinionated, authoritative, intelligent, quirky - from the grass roots up, if it's in the game, it's in FourFourTwo. Buy a single copy or subscription to FourFourTwo magazine. Followed by £19.00 every 6 months by Direct Debit. Every month, the publication deliver the biggest names, the finest features and the most respected columnists in football. 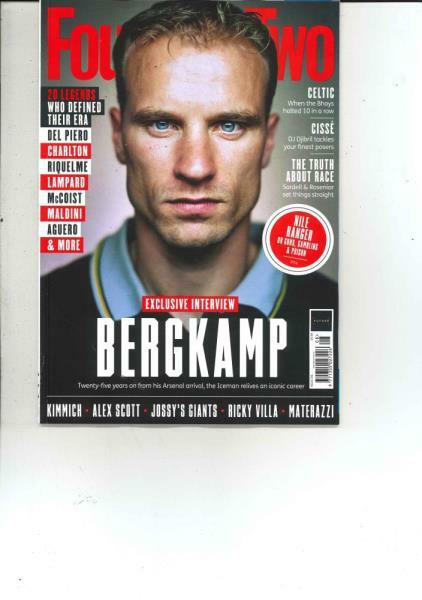 FourFourTwo is the only magazine that truly reflects football in all its extremes. Spectacular, dramatic, hilarious, opinionated, authoritative, intelligent, quirky - from the grass roots up, if it's in the game, it's in FourFourTwo.